A solid staggered wall is the traditional "brick lay pattern" that most people are familiar with. It involves staggering blocks on the half block so that the connection seam of the block row below sits in the middle of the blocks above. This method is one of the strongest methods of construction, which is why it is the most common brick lay patterns in masonry. 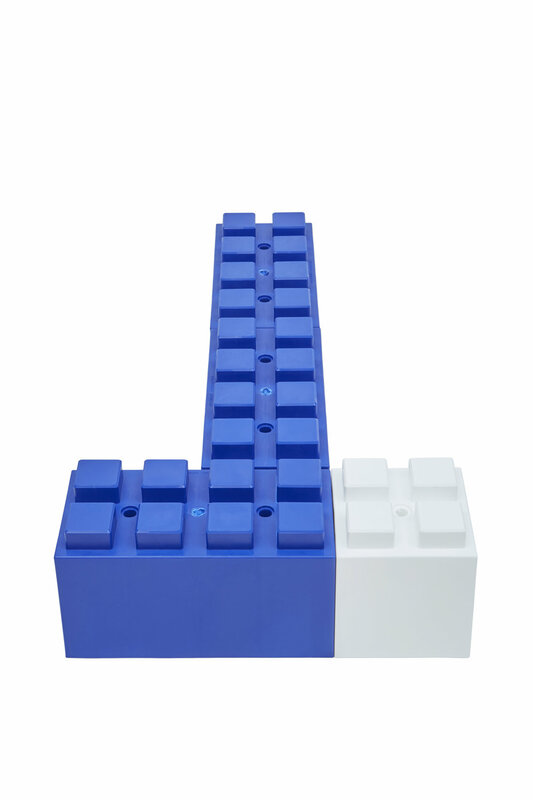 Half Blocks are used in conjunction with Full Blocks to terminate with a straight vertical line. It is also quite beautiful to do a "stripe" along the middle of a wall. We typically recommend a 2ft stripe for typical 7ft, 8ft or 9ft walls. Alternate between a rotated Full Block and Half Block, and straight Full Block and two Half Blocks. Repeat the pattern based on the wall height. It is also possible to do an even larger "T" by adding rotated Full Blocks on both sides of a straight blocks and then utilizing a rotated Full Block, two Half Blocks, and Two Quarter Blocks and repeating the patterns. Contact us for more details about this method. Screw one side of the angle brackets into the wall and the other into the EverBlock's to provide stability for the freestanding wall. Power, networking and other cables can be run through the integrated 1/2" channel in each EverBlock module. This is enough for most power cables and networking cables, but it is important to remember that the channel will not accommodate end plugs so you may need to rewire these plugs after running cabling though the blocks. 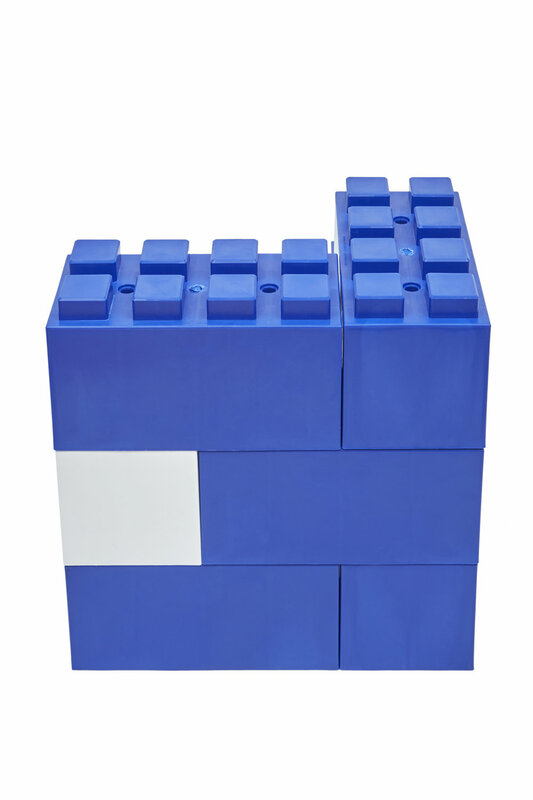 A variety of panels, inserts, and other materials can be inserted within block constructions. Typically sections are simply cut to size and placed in the open gap, nesting up against connector lugs (either in front of between or behind, depending on the aesthetic required). The gap between the outer wall and a lug is 1/2" so 1/2" thick panels nest nicely and sit flush within openings. We typically recommend 43" table heights. 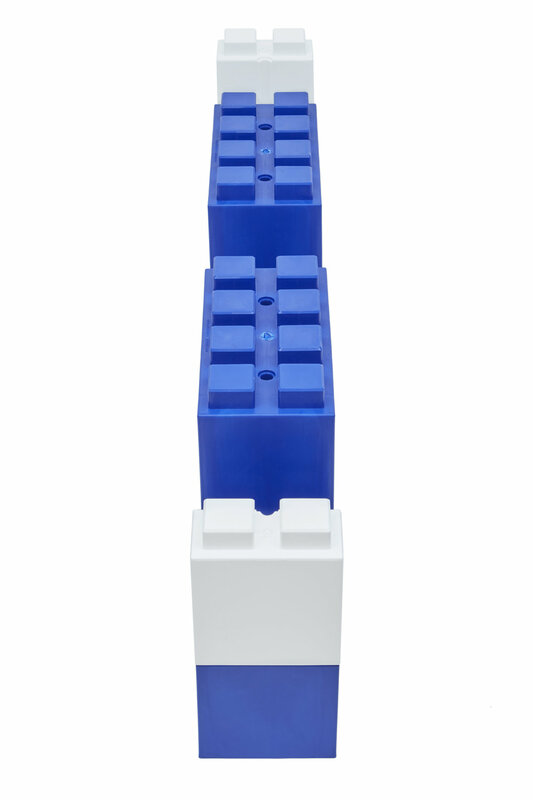 This can be achieved with 7 EverBlock's stacked (42" + 1" for the connector lugs). For chairs and seating we recommend 19" heights, which is 3 blocks stacked (18" + 1" for the connector lugs). For Coffee tables and sofa-side/chair-side tables we recommend 19" to 25" which is 3 or 4 blocks stacked respectively (18" + 1" for the connector lugs OR 24" + 1" for the connector lugs). Screw one side of the angle brackets into the wall and the other into an EverBlock to provide stability for the shelving unit. This is recommended for taller units or for children's rooms where shelving may experience more rigorous use.